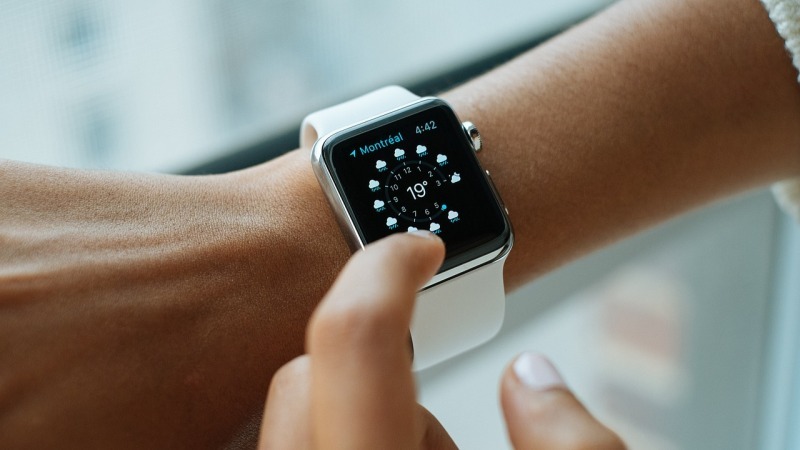 Even the most ardent of tech lovers would admit that smartwatches haven’t quite taken off yet. Yes, you see the odd person wearing a Fitbit or even an Apple Watch, but they haven’t had the same kind of impact as the smartphone or even the tablet. It all started so promisingly too, with Pebble Smartwatch’s successful Kickstarter campaign raising a massive $10.3 million (breaking previous records). Encouraged by Pebble’s success, the big players moved in soon after. Google launched Android Wear in 2014 and Apple released the Watch Series One a year after. Meanwhile, the Pebble Time raised $20.3 million from over 75,000 backers, breaking both records. Despite this, the general public still doesn’t seem convinced. What’s the point of wearing one if you still have to carry your phone around? Why would you want to charge something else every night? Why would you splash out even more cash on something you don’t really need? However, a smartwatch is a lot more useful than you might think. Here are a few of reasons to consider buying one. With a smartwatch, you can check notifications with just a turn of the wrist and respond to them with a swipe or voice command. You’ll rarely feel that nagging desperation to check your phone after feeling a vibration, although you will still need to carry around with you in most instances. Smartphones are useful organisational tools, but they’re distracting too. 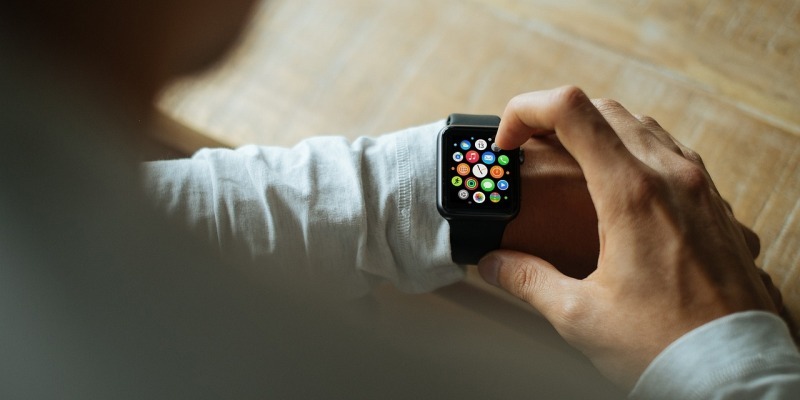 With a smartwatch, you can engage with your phone without falling down a social media rabbit hole: just check your notifications, respond to them and get back to what you’re doing. On top of that, you can set up calendar reminders and to-do lists, both of which feel more urgent when they flash up on your wrist rather than your phone! Fitness tracking is a major selling point for most smartwatches, with heart rate sensors, pedometers and integration with apps like MyFitnessPal making it much easier to get in shape. A smartwatch doesn’t just give you the tools to get fit though; it acts as a coach too. The Apple Watch’s activity rings are particularly effective in making you get off the couch and go for a run, while push notifications keep you going even if you feel a little tired. Being able to listen to music through your watch is a major plus point too. Just hook up a pair of Bluetooth headphones and away you go! Let’s be honest: smartwatches aren’t the most stylish devices. They look alright if you’re wearing something casual and you’re going for the ‘Silicon Valley billionaire’ look, but an Apple Watch looks pretty jarring set next to a suit (especially when compared to its more traditional analog counterparts). However, they’re getting much better. Take the Nokia Steel for example; it’s fairly cheap and it looks fantastic. Traditional watchmakers are even getting in on the action, with Tag Heuer, Omega and Breitling all getting in on the action. While there isn’t a reasonably priced smartwatch that looks as cool as a Rolex yet, we’re definitely getting there. One of the most common criticisms of smartwatches is that you have to carry your phone around at the same time. That may not be the case for longer. LTE-enabled smartwatches aren’t that common but there are more and more devices emerging, including the Apple Watch Series 3. With LTE, you can make calls, send texts and access the internet without your phone – useful if you’re going out and don’t want to carry two expensive devices around. You will have to pay extra for your watch data though. Are you planning to buy a smartwatch? Check out our great range on the musicMagpie Store! With great prices, FREE tracked delivery and a 12 month warranty, it’s one of the best value ways to buy a smartwatch! You can also sell smartwatches with us too. Just get an instant price, pop your watch into a box with anything else you’re selling and send it for FREE. We’ll then pay you the day after it arrives. Why wouldn’t you? ← Should you buy the iPhone X?